Sierra Collection includes a Tuscan style king bed with high headboard, side chest, two dressers styles and tall boy chest. Expert craftsmanship and hand carving provide owners with an heirloom grade product that will provide years of enjoyment. 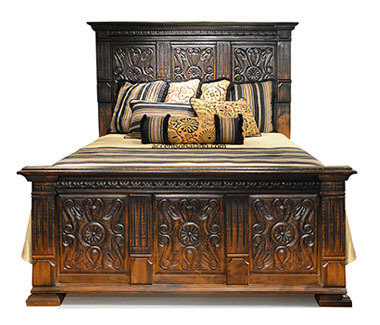 Sierra Collection king bed features hand carved panels and is available in two finishes: Solid Chestnut or a graduating finish of chestnut that fades into a dark walnut. 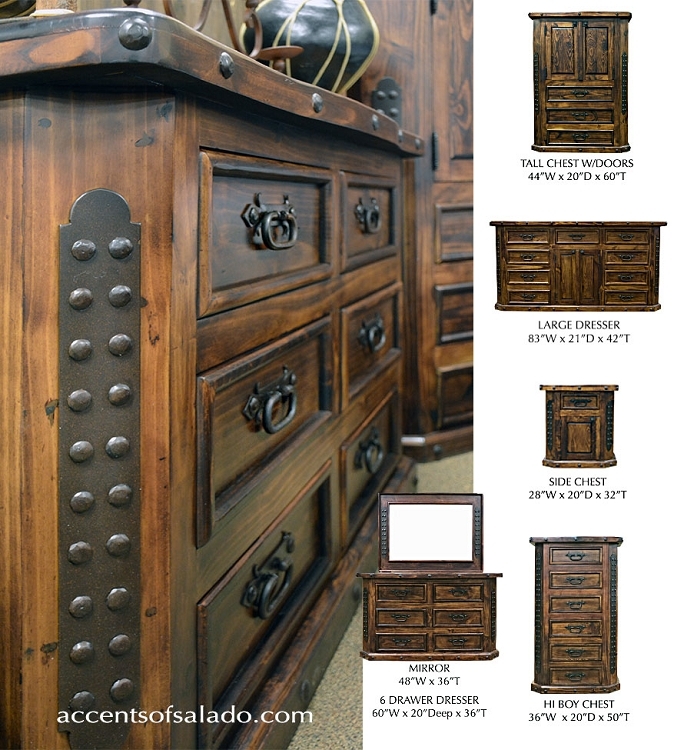 Rustic design with forged iron accents are found in dressers and chests offered with the Sierra beds.